April 17, 2016 Charlotte, NC — The Printing Industry of the Carolinas (PICA) has announced that Heritage Printing & Graphics, Inc. of Charlotte is an award winner in the 2015 PICA Awards Competition. The announcement was made April 16, 2016, during the 2015 PICA Awards Banquet in Concord, North Carolina, with more than 270 industry professionals in attendance. The PICA Awards competition is celebrating its 50th season and continues to be one of the largest printing contests in the nation. This year, the PICA Awards attracted more than 630 entries from 47 printing companies, along with more than 125 entries from 5 graphic arts high schools and 7 college graphic arts programs from across the Carolinas. Heritage Printing & Graphics, Inc. won 14 Best of Category Awards and 2 Special Judges Awards. Only one “Best of” may be given in each category. One or more Special Judges Award or Award of Excellence may be given in each category, limited to no more than one third of total entries per category. Heritage Printing & Graphics, Inc. also won the FujiFilm "Best Wide Format" award. For more information, call Brent Thompson of Heritage Printing & Graphics, Inc. at 704-551-0700. PICA is a trade association representing the graphic communications industry in North and South Carolina. North Carolina ranks as the 18th largest state print market in the United States with $3.5 billion in sales, 1,326 total printing establishments and 21,187 employees. South Carolina ranks 32nd in the nation, with $1.2 billion in sales, 525 establishments, and 7,776 employees. PICA is headquartered in Charlotte, NC. For more information, visit www.picanet.org. The PICA Awards Competition, owned and managed by The Printing Industry of the Carolinas (PICA), is an annual event established in 1966 that recognizes and rewards printing and imaging companies who combine fine craftsmanship with technology in order to produce outstanding finished products. 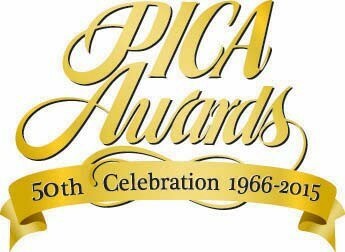 The award‐winning companies are honored each year at the PICA Awards Banquet.